A great ending to an outstanding story. This book begins were Inky left off... yep. Remember that horrible cliffhanger??? 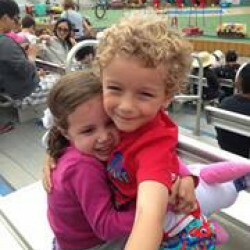 Inky and Cole are together, they are in-love and planning a life for themselves. They have grown as a couple and individually but they still have many things to overcome. Once the whole ordeal regarding the Drago family incident, Inky and Cole pick up their lives. Cole was an amazing partner, friend and lover; it was beautiful seeing how he takes care of Inky and helps her heal completely. 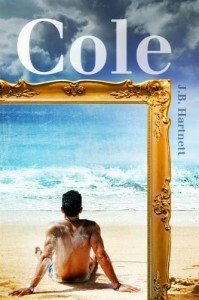 Cole also rekindles the relationship with his father, which was unexpected and a joy to read. Forgiveness and second chances are a rarity these days and J.B. Harnett gives us this amazing value in spades. So many thingS I want to say, about his book but they would be redundant and I would be giving away too much of the story. The truth is... these books are the kind you just grab, start reading and forget about reviews or spoilers, every page there is something beautiful to uncover and I loved that I got to read them completely blind!!! Thank You for a wonderful story; definitely an author to follow thoroughly.